#OLV BOOK TRAILER | Our Lady of Victory Remembered! 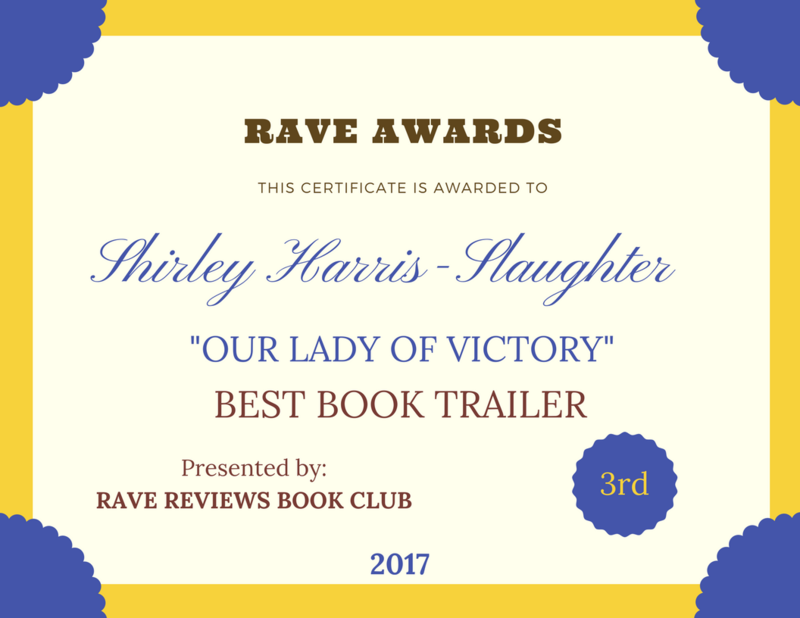 This trailer was born out of my association with Rave Reviews Book Club (RRBC), founded by President & Author, Nonnie Jules, whom I met on Twitter. That was the beginning of a very interesting and fruitful relationship. I couldn’t get much attention for my book on my own; the best I could do was an initial book launch when it was first published in 2007, and then republished in 2014 with a Facebook Re-launch Party. Because of the trailer, my book got so much attention and a bump in sales. It was unbelievable! Nonnie, who is a partner in 4WillsPublishing, wanted to make a trailer about my book because she felt the book was not getting the attention it deserved. She had one of her big ideas and was so excited about giving OLV extra attention. How lucky for me. I was so grateful that she loved the book having read and reviewed it. Imagine someone else liking your work. Well, I was so grateful for the attention, that she could have done anything and I would have jumped hoops to let her. We weren’t getting any attention from the big publishing houses as Indie Authors, a term borne out of the neglect that lone independent authors were experiencing, so Nonnie Jules’ answer was to create a club where the focus would be on authors’ mutual support. Because of RRBC, Indie authors no longer have to depend on the big publishing houses to publish their work or to even recognize them as “credible” because we have learned that as long as we work together, anything is possible.